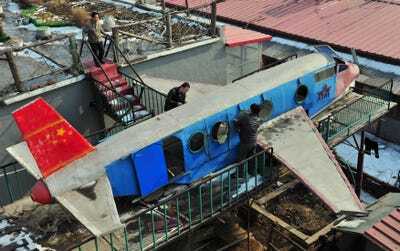 REUTERS/StringerZhang Wuyi sits in his newly made multi-seater submarine at his new workshop near an artificial pool in Wuhan, Hubei province, November 14, 2012. 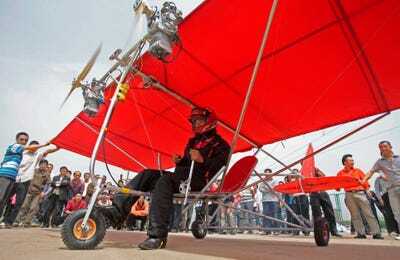 It’s widely recognised that American inventors such as Alexander Bell, Thomas Edison and Henry Ford helped turn the American dream into a reality. 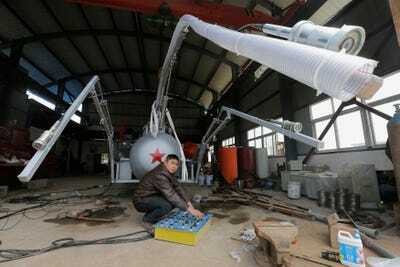 But these days, many inventors are coming from a different economic juggernaut — China. 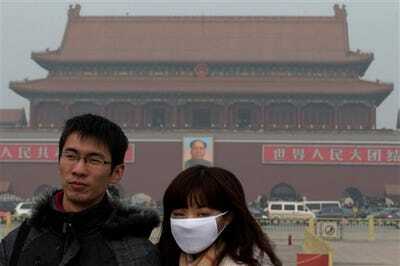 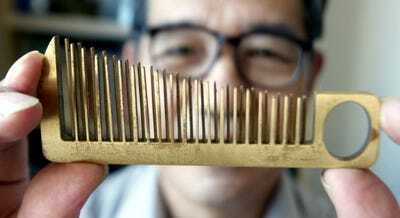 According to China Daily, 210,000 invention patents were given out in the country last year, a 25% increase over 2011. 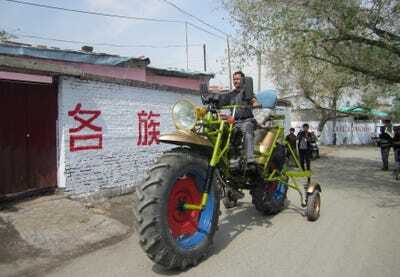 In this slideshow we’ve included pictures from China’s DIY inventors: industrious men and women inventing in their backyard. 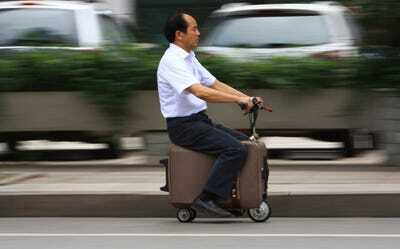 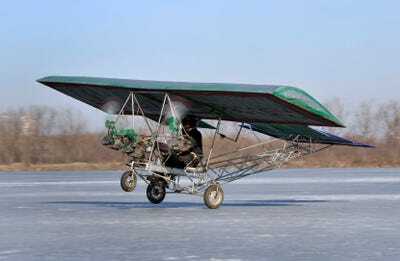 He Liang took ten years modifying this suitcase vehicle which has its own motor and can reach speeds of over 12 miles an hour. 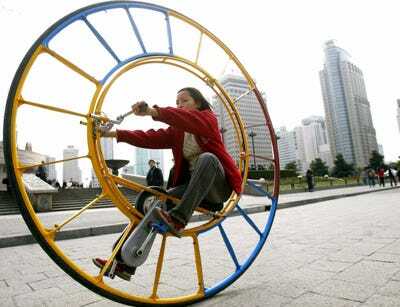 It can travel 30-40 miles on one one charge. 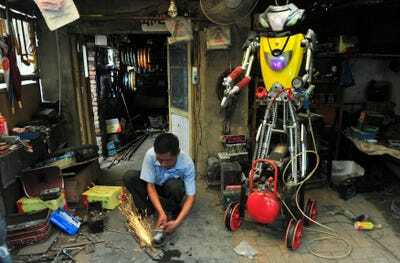 Tao Xiangli, a self-taught inventor, built this remote controlled humanoid robot out of scrap metal and electronic wires that he bought from a second-hand market for $49,037. 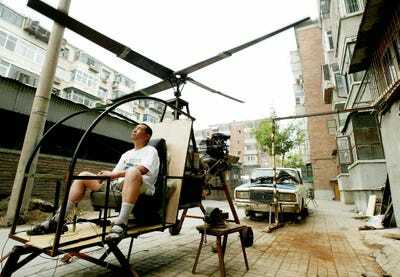 Tao ran into a problem, though, when he realised the robot was too big to get out of his front door. 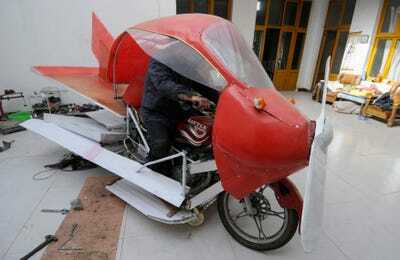 This 7.8 feet tall home-made motorcycle cost its creator, Abulajon, $1,300 to create. 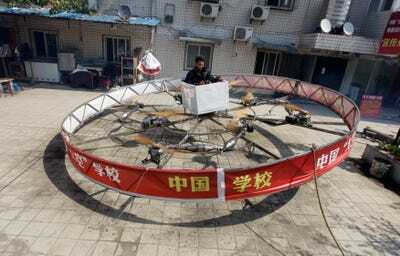 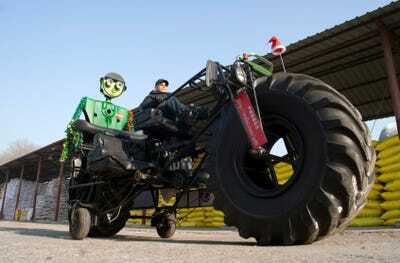 It weighs 600 pounds and can reach speeds of 25 miles per hour. 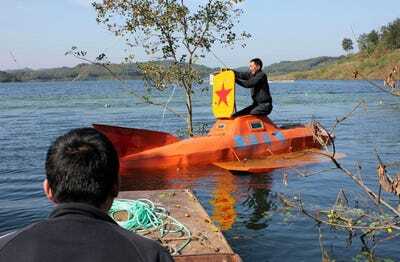 This farmer spent five months building this DIY submarine, which he successfully took to a depth of 30 feet in a lake near his home town of Dangjiangkou, in the Hubei province. 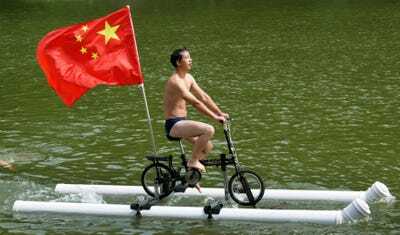 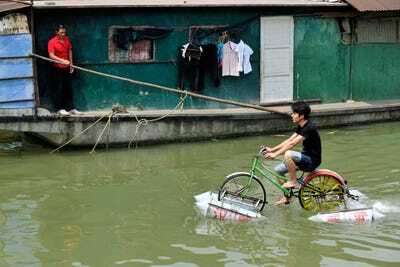 Liu Wanyong created this improvised bicycle which is held afloat by plastic tubes in Zhenning, in the Guizhou province. 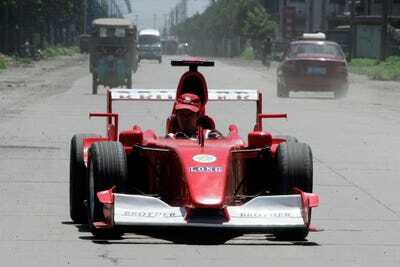 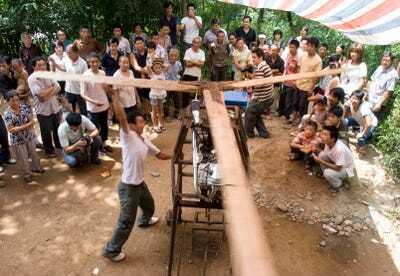 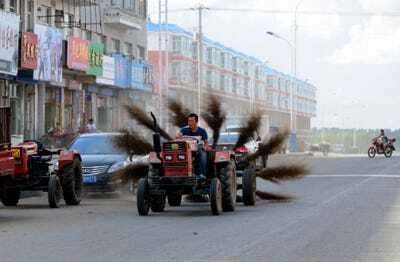 Liu Fulong built this wooden electronic vehicle and tests it out below. 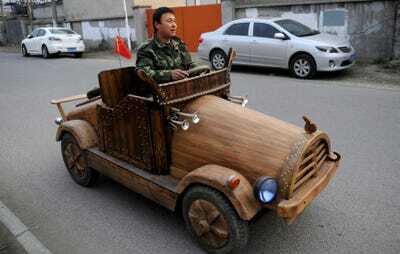 The car can reach speeds up to 20 miles an hour, which is pretty fast for a homemade experiment. 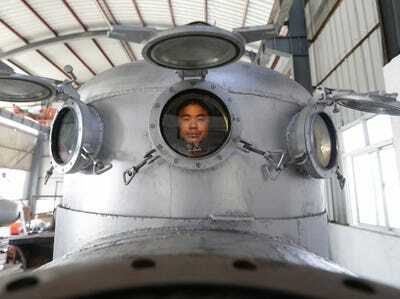 Zhang Wuyi looks up as he squats under a suction pipe of his new submarine that captures sea cucumbers at his workshop in Wuhan, Hubei province, March 25, 2013. 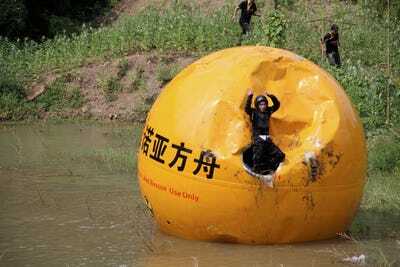 A Chinese inventor, Yang Zongfu celebrates on his six-ton (5,443 kg) ball container named Noah's Ark of China after he succeeds in a series of tests of the vessel in Yiwu, Zhejiang province, August 6, 2012. 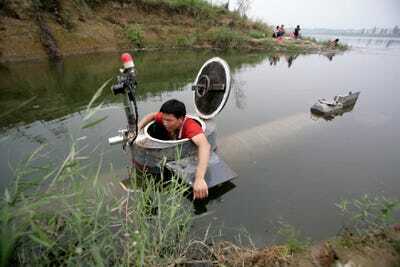 The vessel was designed to protect people inside from external heat, water and external impact. 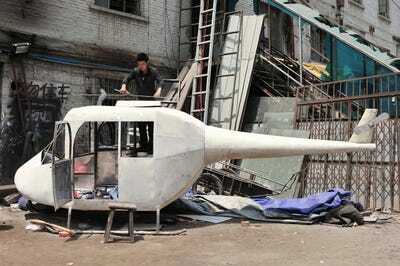 Tian Shengying (R), a 55-year-old blacksmith, adjusts the rotor of the helicopter, in Shenyang, Liaoning province, September 21, 2012. 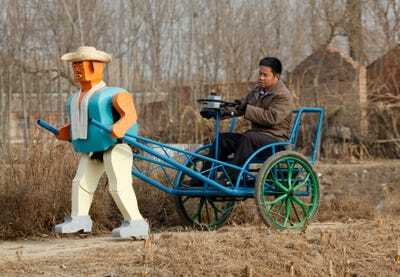 Sun Jifa moves a brick as he works to build his new house in Yong Ji county, Jilin province, September 25, 2012. 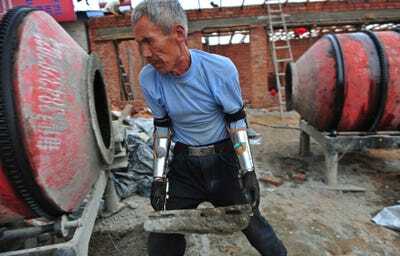 Chinese farmer Sun, who lost his forearms in a dynamite fishing accident 32 years ago, could not afford to buy prosthesis. 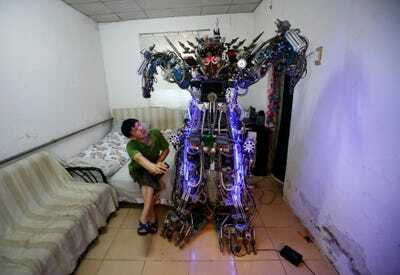 He spent two years guiding his two nephews to build him prosthesis from scrap metal, plastic and rubber. 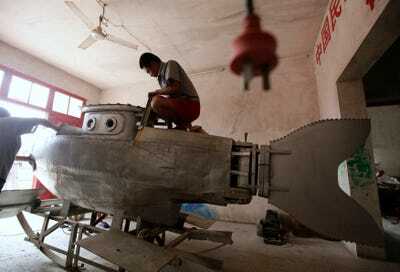 A worker polishes the surface of an unfinished miniature submarine at a workshop of Zhang Wuyi, a local farmer who is interested in scientific inventions, in Qingling village, on the outskirts of Wuhan, capital of central China's Hubei province August 29, 2011. 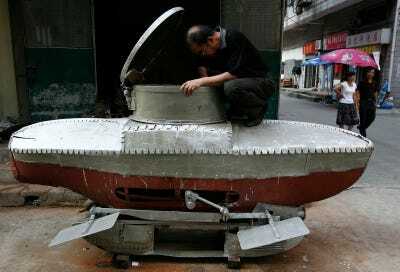 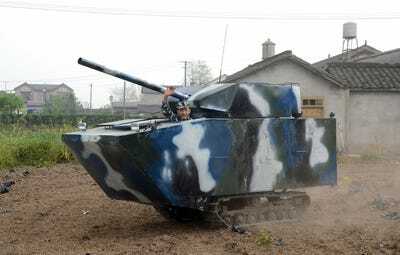 Li Yuming, a local farmer who is interested in scientific invention, works on his unfinished miniature submarine 'Xiaguang V' on the outskirts of Wuhan, capital of central China's Hubei province August 24, 2007.